Epochs are the ages a player passes through in Empire Earth. Each of these epochs represents an age within history. In Empire Earth, the last two ages (Digital and Nano Ages) are set into the moderate future. In the Art of Conquest, a third future age, the Space Age, is available. It deals with space colonization. Each epoch brings new technologies and units. Epoch advancement requires additional buildings to be built and the costs of advancing increases as more epochs are attained, although the ability to gather the required resources greatly increases as well. With new epochs, some new units are available at the cost of having to abandon the ability to produce old units, though any old units still alive are kept. 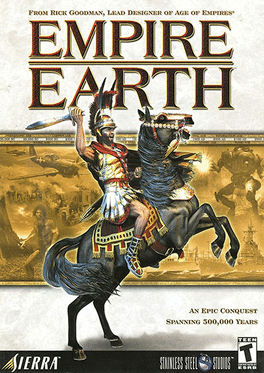 The epochs in Empire Earth are the Prehistoric Age, the Stone Age, the Copper Age, the Bronze age, the Dark Age, the Middle Ages, the Renaissance, the Imperial age, the Industrial age, the Atomic World War I age, the Atomic World War II Age, the Atomic Modern Age, the Digital Age and the Nano Age. An extra epoch, the Space Age, is available in Empire Earth: The Art of Conquest.